In the U.S. Audi markets a wide array of luxury sedans for all types of drivers, ranging from the entry-level A3 to the ultra-lavish A8. 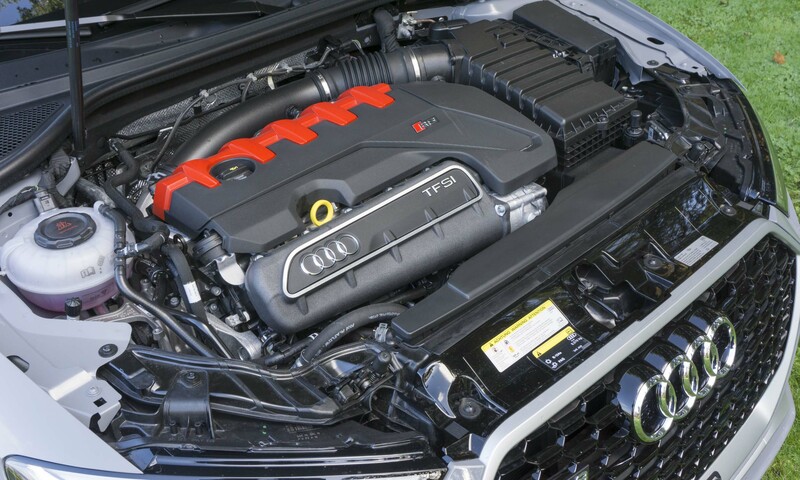 For driving enthusiasts, the German automaker also produces high-performance variants that wear the RS label. Like Mercedes AMG and BMW M, the RS versions represent the company’s highest levels of performance, and the least expensive way into Audi’s special club is the RS 3. It may be the entry-level RS, but it is certainly deserving of those two letters. 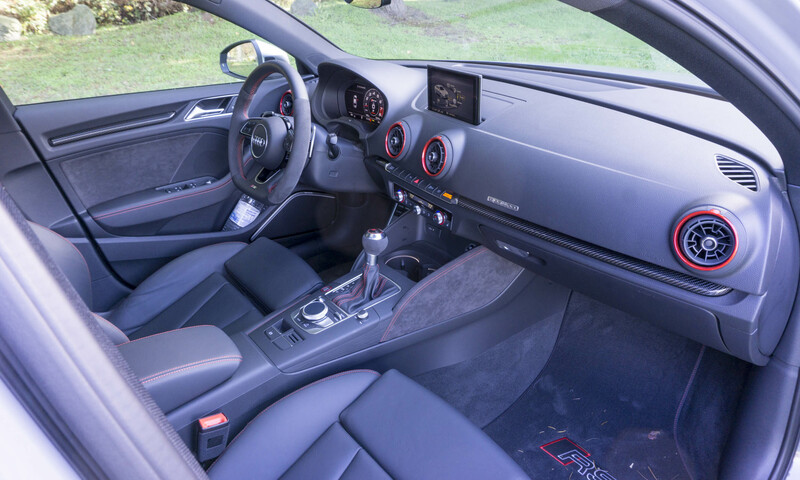 Our test vehicle from the media fleet was the 2018 Audi RS 3 equipped with the Technology Package, Dynamic Package, RS Design Package and RS carbon decorative inlays. Total MSRP as equipped is $62,125 — granted, it may be the least expensive RS, but this car is not inexpensive. Competitors to the RS 3 include the Mercedes-AMG CLA45, Subaru WRX STI, Ford Focus RS and Volkswagen Golf R.
Although most folks will see an RS 3 on the street and not recognize it as a performance car, a number of clues indicate this is not a typical compact sedan. 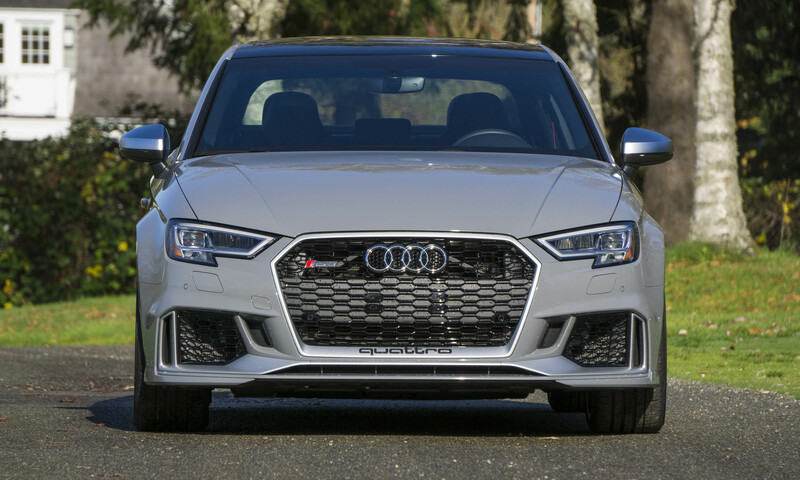 Up front, the large Singleframe grille has a black honeycomb pattern surrounded by chrome with “quattro” boldly featured at the bottom of the grille. The black honeycomb also appears in additional air vents below the standard LED headlights. 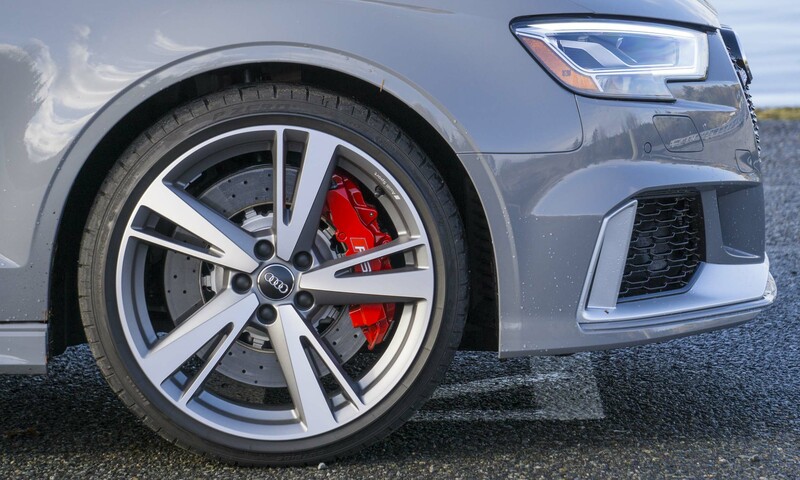 Our test Audi RS 3 was equipped with the Dynamic Package, which includes titanium-finish 19-inch wheels and red brake calipers. These features really pop against the RS 3 painted in Nardo Gray. 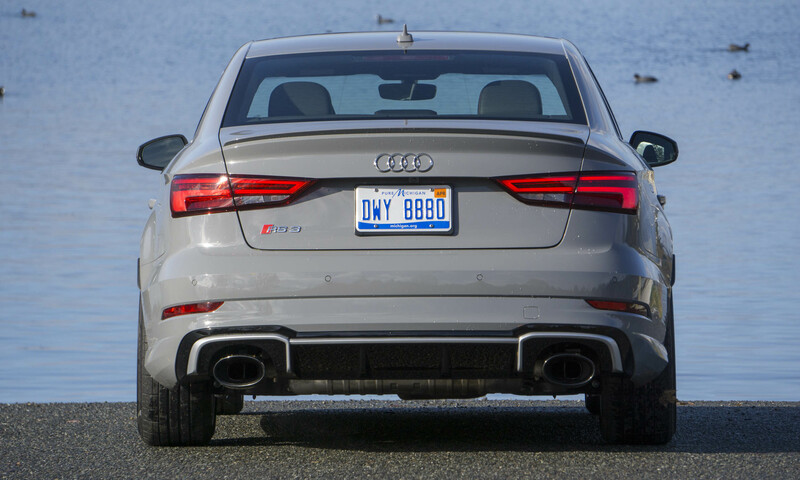 At the rear, the RS 3’s sporty styling continues with a lip spoiler on the trunk, dark-tinted LED taillights and large oval exhaust outlets. Again — subtle clues to the RS 3’s level of performance. 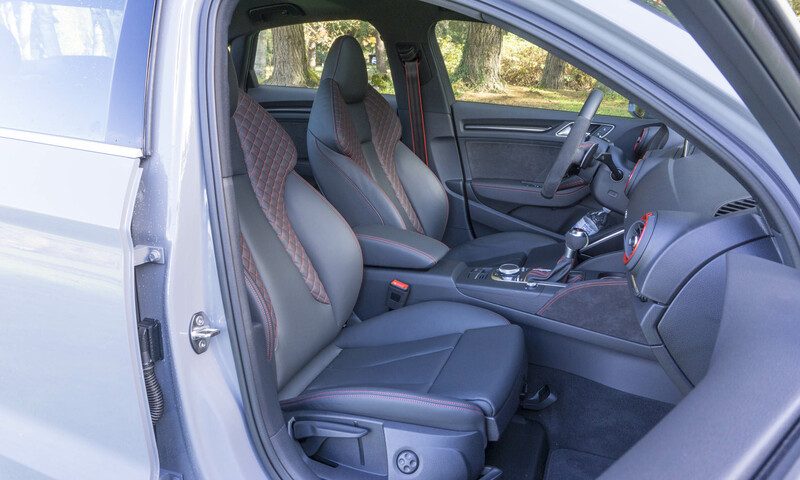 The RS 3 earns big points for front sport seats. Not only do they look good in black leather — with contrasting diamond stitching in red as well as the embossed RS logo — they are surprisingly comfortable as well. The side bolsters provide a snug fit that offers great support on winding roads. It is a bit surprising that the seats are not power operated — all adjustments are manual. 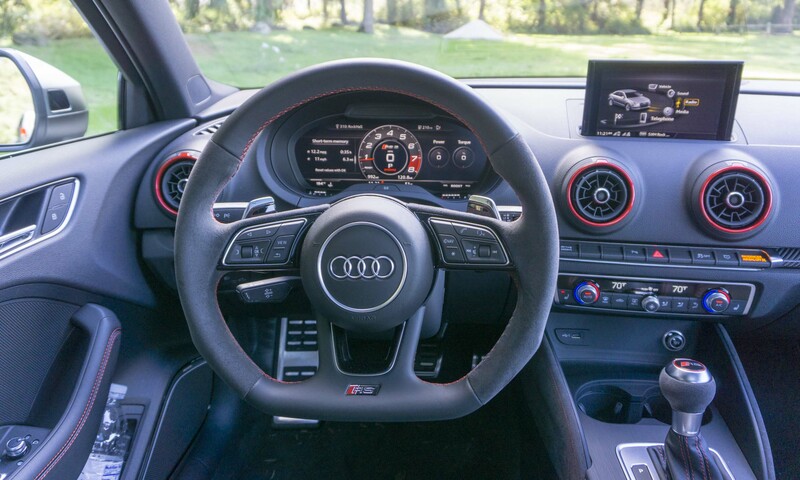 The test car also had Audi’s optional RS Design Package that adds some nice touches to the interior, including red accent rings around air vents, RS-embroidered floor mats, red-edged seat belts and two additional USB ports in the rear-seat area. 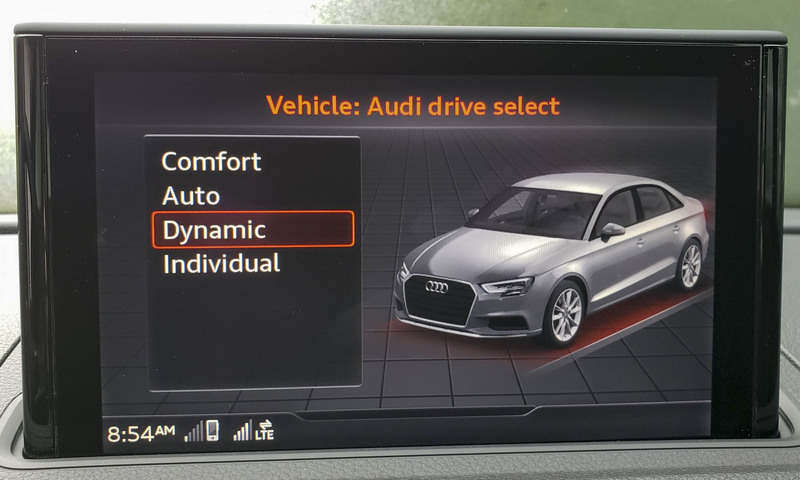 With the optional Technology Package, this RS 3 features Audi’s Multi Media Interface, which is vastly improved over past versions. 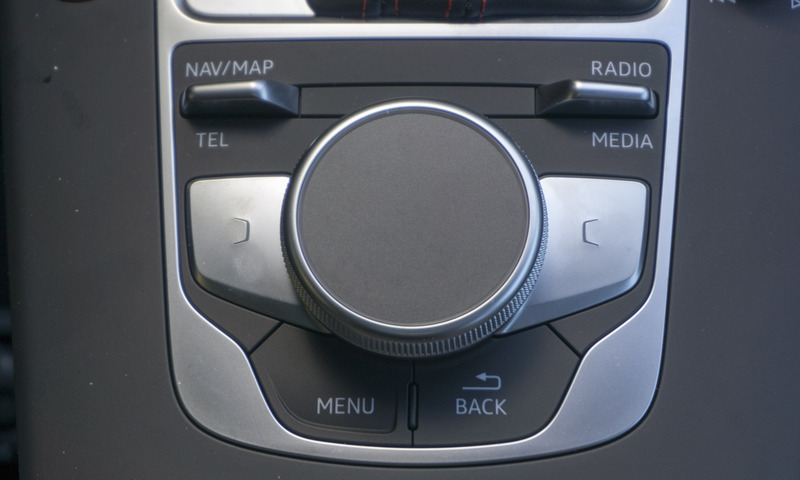 Not only does the new MMI have hard buttons to access phone, navigation and audio settings, but the top of the dial can be used to draw letters. 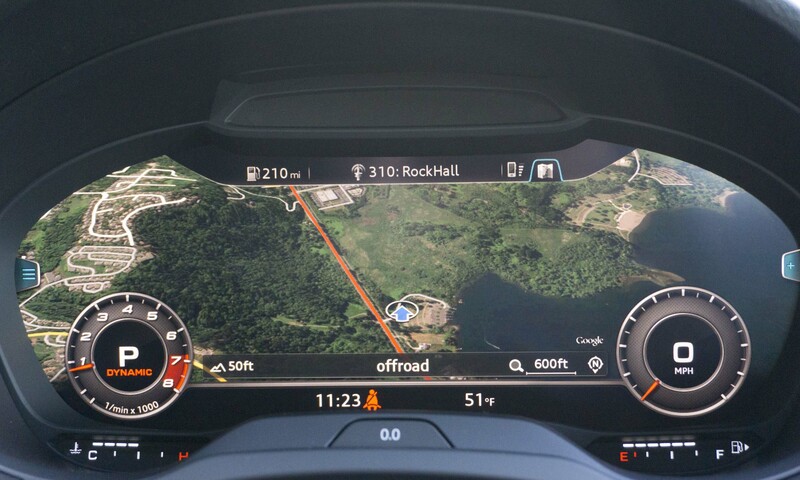 Although at first blush this finger painting seems like a gimmick, it quickly became much easier to spell out a destination for the nav system using this method, rather than using the wheel to select letters. Unlike many current designs, the RS 3 display screen slides out of sight into the dash when the car is turned off — a very nice integration. 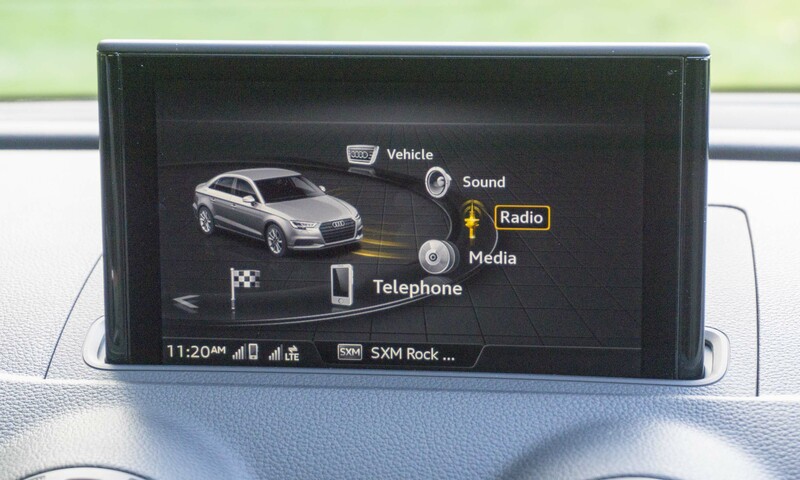 However, the display seems a bit small and there isn’t any home screen that simultaneously displays pertinent information from climate, audio and nav systems. 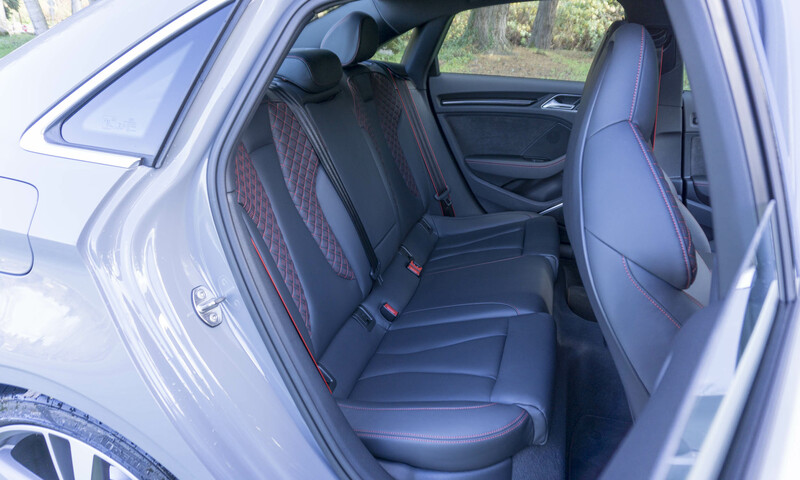 The RS 3 is not a large car, which becomes evident when sitting in the rear seat. 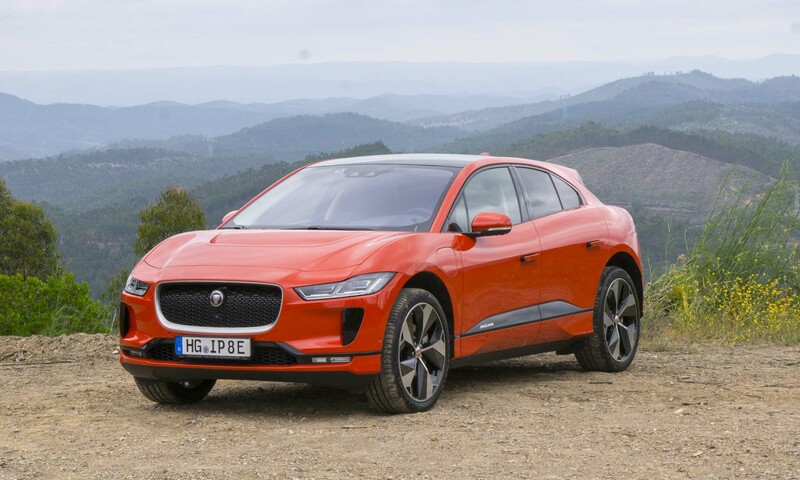 The seats are attractive in that they have the same contrasting red stitching, but seating would be very tight for three passengers, and legroom is minimal. 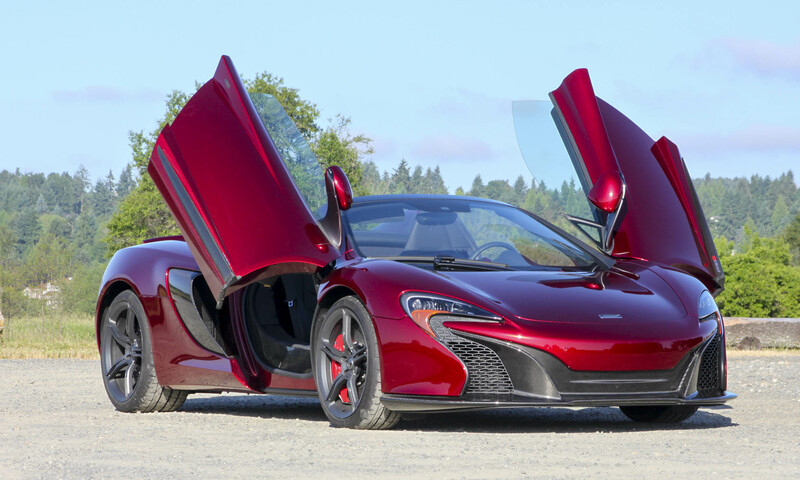 If front passengers are willing to slide seats forward, the rear seat is certainly usable for short jaunts. For such a small car, the RS 3 has a roomy trunk. 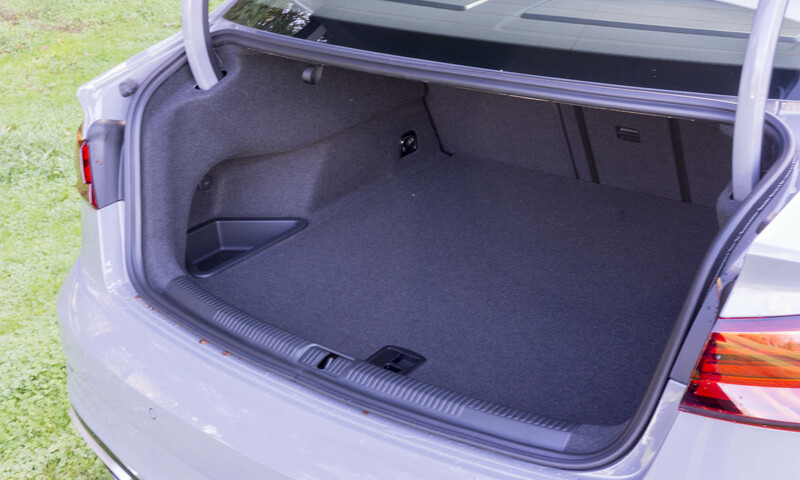 The compartment has enough space for several pieces of luggage or parcels, and the trunk lid supports slide into the bodywork so no contents will get crushed. Audi’s new Virtual Cockpit has trickled down through the lineup, and it is a favorite. The completely digital gauge cluster in front of the driver can be configured in multiple ways, including putting the navigation in full screen with the speedometer and tachometer moving to the corners. If the styling of the RS 3 is somewhat subtle, what’s under the hood is decidedly not. 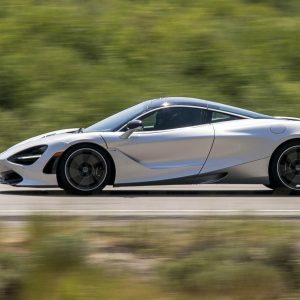 Power comes from a 2.5-liter turbocharged 5-cylinder engine that produces a plentiful 400 horsepower and 354 lb-ft of torque at 1700 rpm. 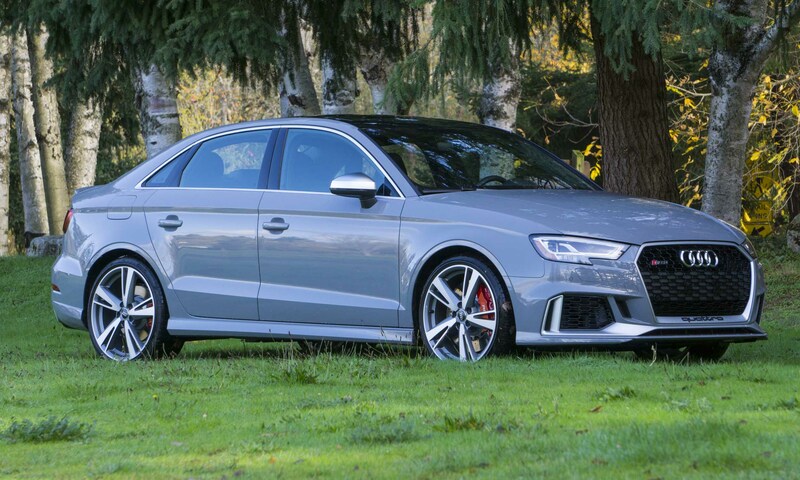 The RS 3 takes full advantage of that power thanks to the excellent grip provided by Audi’s standard quattro all-wheel-drive system. 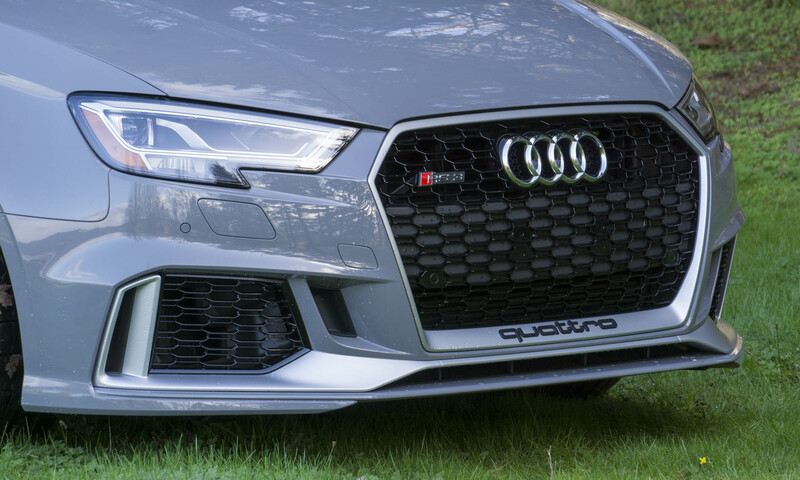 Of course a wonderful exhaust note accompanies all that power — simply starting the RS 3 will put a smile on any enthusiast’s face. 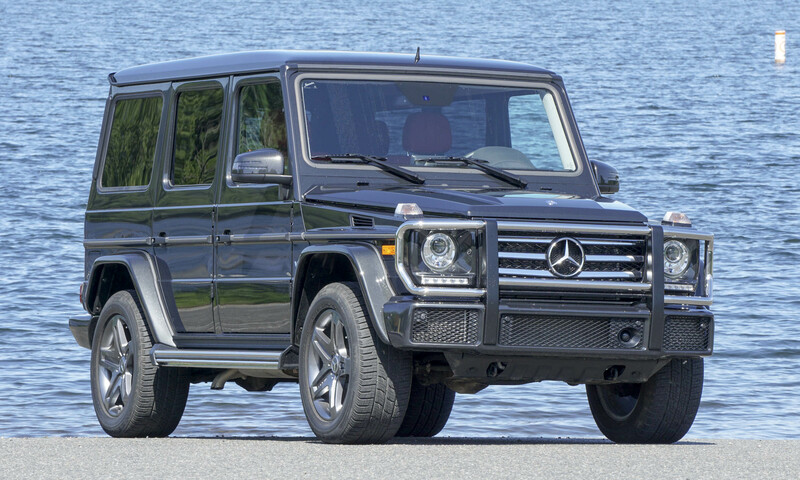 The turbo 5-cylinder engine is teamed with a quick-shifting 7-sped S-Tronic dual-clutch gearbox. The transmission can be left to shift on its own or shifted manually via paddle shifters mounted on the steering column. However, a quick tug on the gear shifter and the car is put into Sport mode, which keeps rpm higher and shifts much quicker. 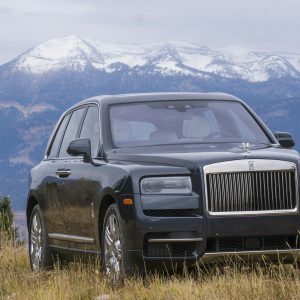 Best of all, downshifts happen intuitively — the throttle gets blipped at each downshift, which makes a wonderful series of sounds when slowing for a stoplight. 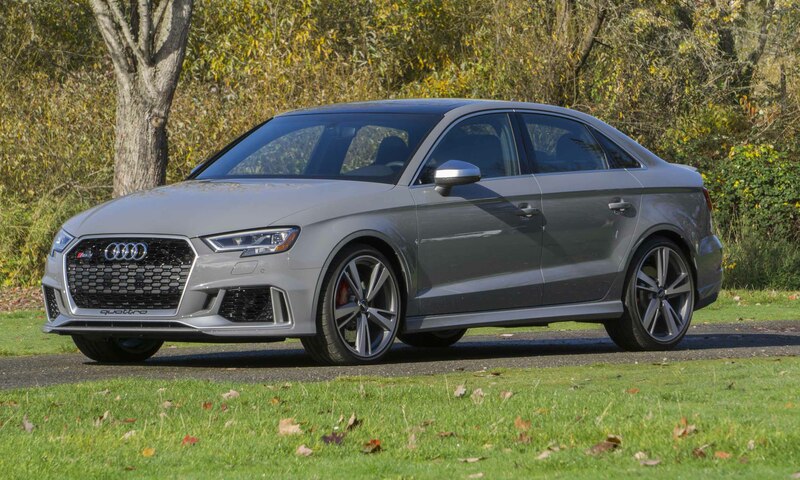 The U.S. EPA rates the RS 3 at 19 mpg city / 28 mpg hwy /22 mpg overall; however, when driven enthusiastically (as most owners of this car would) the RS 3’s fuel efficiency suffers. During our test days we were barely able to reach 19 mpg. When driving around town with the transmission set to Sport we were close to 12 mpg. 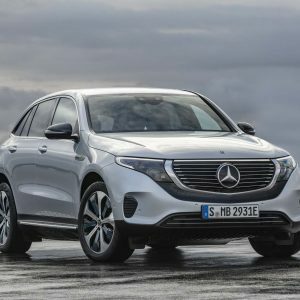 But fuel mileage is greatly affected by the driver’s right foot — a lighter touch on the throttle will certainly return better numbers. 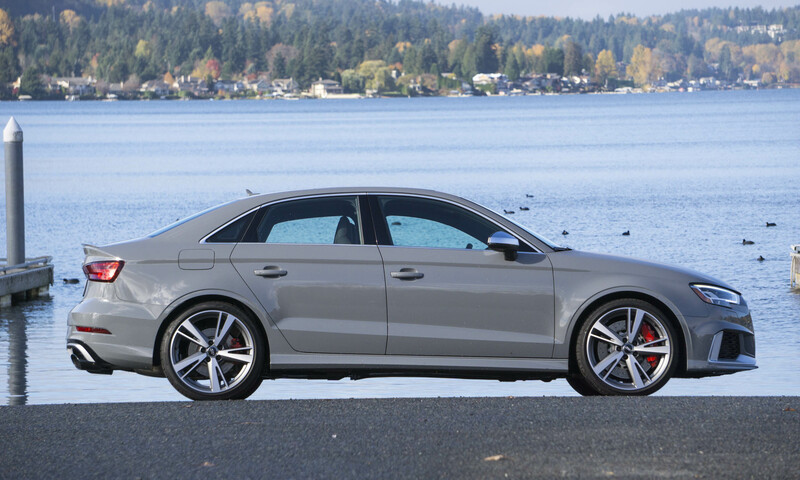 The RS 3 gives drivers the ability to change the overall driving dynamics via the Drive Select system. Comfort mode features a softer suspension and lighter steering, which works well for highway cruising. When it’s time to have a bit more fun, Dynamic mode adjusts the magnetic-ride suspension with a stiffer ride for better handling — shifts happen quicker, and the steering gets adjusted to provide more direct feedback. The difference is definitely noticeable. With 400 horsepower on tap and a quick-shifting gearbox, the RS 3 is an absolute joy to drive. Throttle response is instantaneous, resulting in very quick acceleration. Audi claims this little car will sprint to 60 mph in less than 4 seconds, and there is little evidence to suggest otherwise. 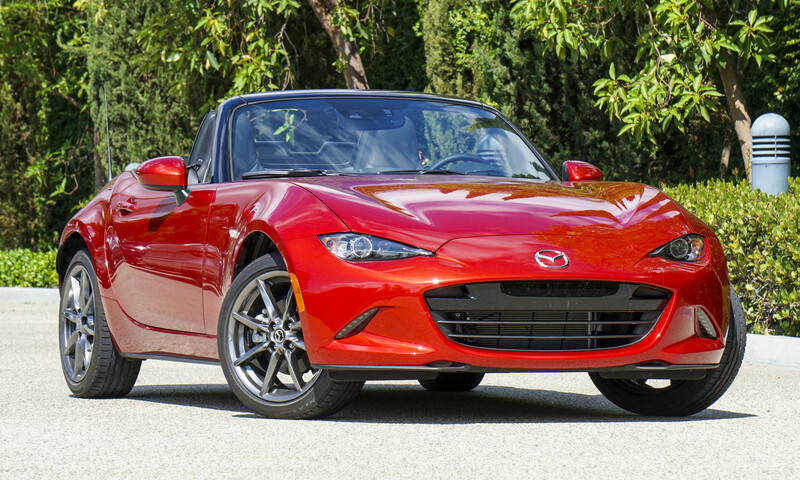 When the road gets curvy, the smiles simply get wider. 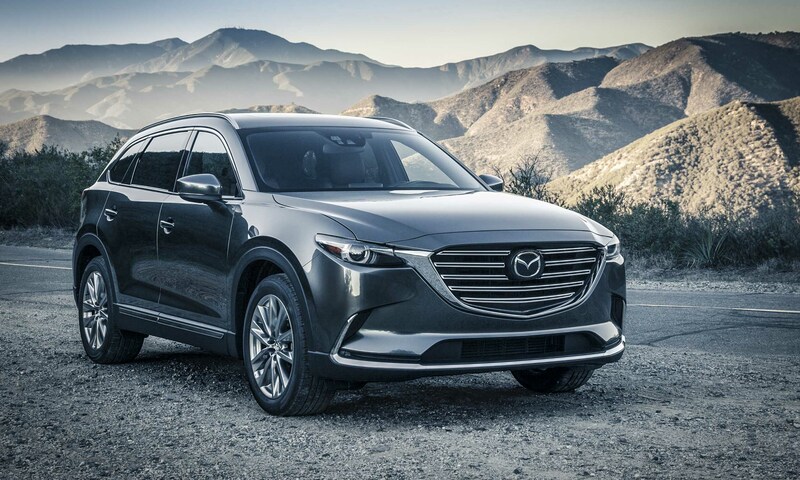 With Dynamic mode, shifts are quick and on point, steering is crisp and responsive, and the all-wheel drive combined with the stability control system keep things in line without being intrusive. 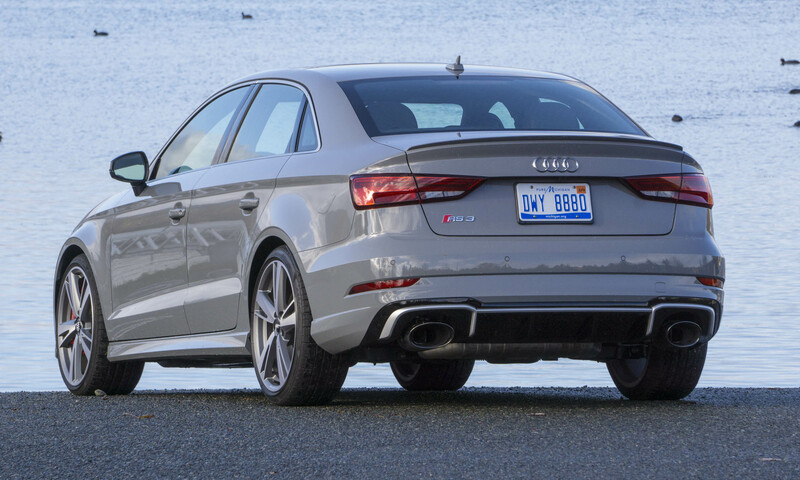 The RS 3 works just as well as a daily driver as it does as a high-performance sport sedan. In Comfort mode the car cruises easily down the freeway at 70 mph. The car possesses enough space for running daily errands, and its small size makes it easy to park and maneuver. The RS 3’s compact size, big power and excellent handling create an incredibly fun-to-drive package. Add the subtle styling and comfortable interior — at least for the front seats — and the RS 3 would be a joy to drive every day. Plus, the glorious exhaust note never gets old. 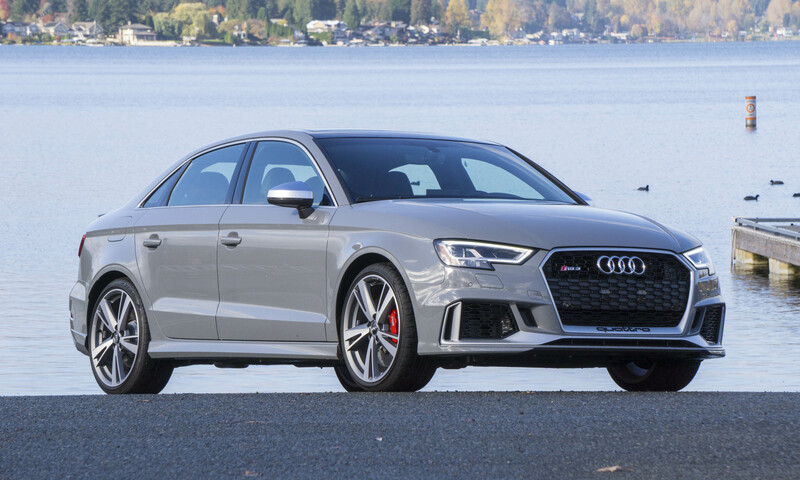 At more than $60,000 the RS 3 is rather pricey, but it is a luxuriously sporty car that any driving enthusiast would be happy to park in their driveway.